Everyone knows Macaronis is the most mechanical wave on the planet. During peak season, it's a sweet drop into a short punchy barrel followed by a horseshoe section that begs to be belted over and over again. What most surfers don’t know about Macaronis is that between November and February it’s doing pretty much the same thing but with none of the crowd. Most of the Mentawai charter boats are dry docked from November until the start of the next season, which typically kicks off in March or April. Outside of peak season, the Mentawais is still subject to quality long range groundswells but with less chance of being maxed out. Winds are typically light and variable due to the closeness of the equator, so conditions are usually glassy. This January, Swellnet is supporting Macaronis Resort and brothers Clayton and Shayne Nienaber on a seven-day surf coaching, photography, and tropical holiday package. Surfers will arrive in Padang on the 20th January (week 1) or 27th January (week 2) where you’ll jump onto the overnight ferry and fast boat to the resort. Your first surf day commences on the 21st where you’ll start your first session with professional surf coach and shaper Clayton Nienaber. From there on you can dive in and out of the daily coaching, surfing, fitness and theory schedule whenever you like. Aside from surfing your brains out at any one of the surrounding breaks, there’ll be plenty of opportunity to fish, take a trip to the local village, or simply laze around the resort. For Queen Room accommodation it’s only $3,000 AUD for 8 days surfing and 7 nights. For Twin Room accommodation, it’s only $2,760 AUD for 8 days surfing and 7 nights - sharing with another surfer. Both packages include all meals, boat transfers, surf coaching, and photos of you taken by Shayne. The only thing you need to book will be your flights, insurance and any possible stopover accommodation. As of the 5th October (2017) return flights from Sydney - Kuala Lumpur (Malaysia) - Padang (Indonesia) were only $1,250 AUD per person through Air Asia. Jan 2018 update: some airfares via AirAsia are as low as as $600 (Gold Coast-Padang return) plus baggage. Want more information? Click for Macaronis Resort information package. Forecast Summary: While there's less swell activity during the off season, this isn't to say the surf stops all together. We see swells arriving from a more southerly angle and with a little less consistency due to them being generated further away along the polar shelf. There's also usually a handful of larger off season swell events and if you're in the region when one of these hits, you get the bonus of surfing proper waves with a much smaller crowd. Winds swing from the usual weak south-east trades during peak season, around to west-northwest favouring spots like Macaronis and Greenbush which love the extra south in the swell direction. About the waves: Macaronis is the perfect venue to hold any surfing clinic due to the wave being so mechanical, and summer months are perfect for intermediates as there are few experienced surfers to compete with and the swell remains within a manageable range. Maccas Right and Greenbush are other standout waves in summer months when south swells are more common. Visitors at this time usually consist of Japanese or older Aussies. 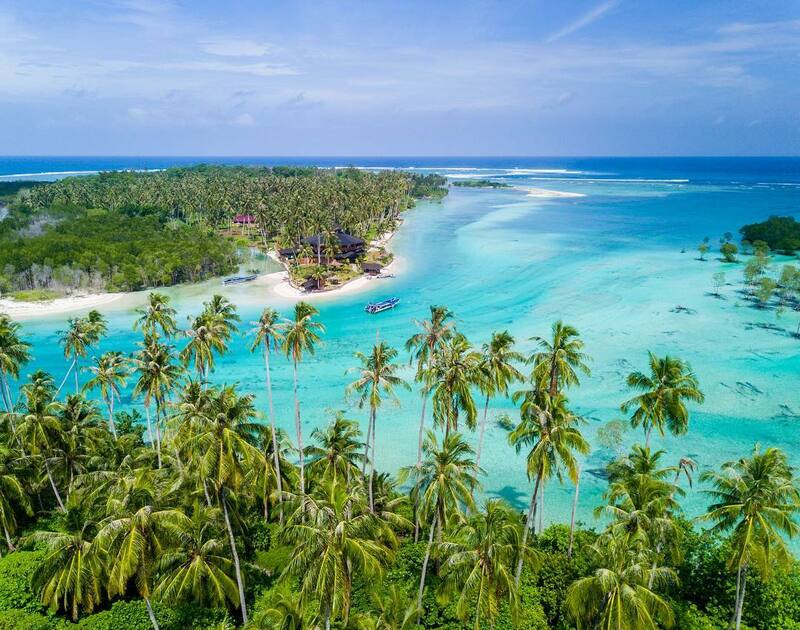 As for passing visitors, the Mentawai tourism department regulates a maximum of two boats visiting each day - though it's more likely to be one or none during summer. When not surfing there's a tonne of things to do, like pop fishing, trawling or spear fishing, snorkeling, SUP and sea kayaking, village and island exploring, or just chilling out beside the pool. And if that all sounds like too much then simply watch your mates getting barreled on the live surf cam! About Clayton: Based on Australia’s Gold Coast, Clayton Nienaber is a Level 2 ISA Coach. Originally from South Africa, Clayton has served as the South African coach for Seniors, Juniors, and Longboarders. He also helped coach the South African Junior Team at ISA Games in France, Brazil and California. Clayton has coached in Japan, South America, Canary Islands, Spain, and the UK, while he’s worked with surfers of the calibre of Jordy Smith, Travis Logie and Ricky Basnett. As well as being a surf coach, Clayton is also a surfboard shaper. He can bridge the nexus between technique and equipment to deepen your understanding of surfboard design. Clayton will film your sessions and provide a detailed analysis of your technique. At times he may even accompany you in the water. Throughout the week, you will be given practical and theoretical sessions. These are enjoyable sessions held in the comfort of Macaronis Resort’s bar area. Through Clayton’s daily surf coaching sessions you will improve your style and refine your technique. About Shayne: A professional, freelance photographer from the Gold Coast of Australia, Shayne's work has featured in a broad range of media. He has more than nine years of experience in photography and has traveled to the Maldives, Philippines, Indonesia, New Caledonia, South Africa, Fiji and Europe to expand his portfolio. On any given day, you will find Shayne treading water for hours, waiting to capture that unique shot. Shayne prides himself on satisfying client expectations and being a perfectionist. Click to visit Macaronis Resort information package.